I used to think I was familiar with most of the Eric Carle books, but I keep discovering new ones...to the point where I thought I knew about all of them...but Tara from Feels Like Home as proved me wrong again. 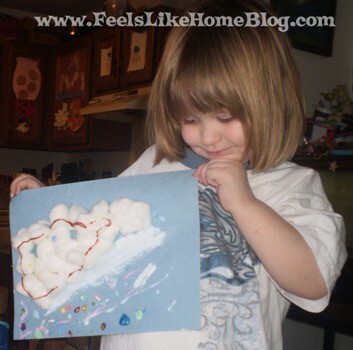 She came up with several wonderful cloud activities to go with Little Cloud by Eric Carle. I've already gone on our library website and put it on hold. 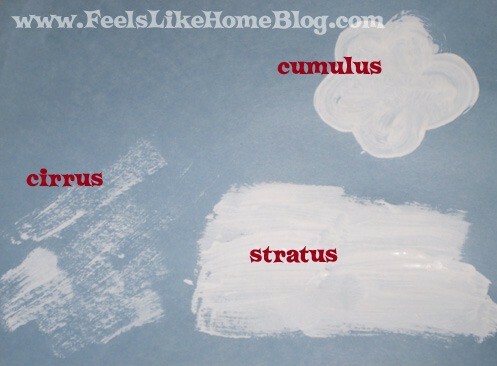 One of my earliest memories is of pulling apart cotton balls to make clouds at preschool when I was about 4...so this would be especially fun to do with my kids. I love that it also teachs science, besides just being plain cool. Tara has a lot of other ideas as well as a fun science experiment to go along with the book, so you'll want to be sure to head over and read her whole post.